Each of these factors carry compatability points commencing from one for Varna, two for Vashya etc. increasing in that order with Nadikoot carrying maximum 8 points out of a total of 36 points or Gunas. From this it is evident that maximum importance is attached to Nadi with 8 points, Bhakoot with 7 and Gana with 6 points. Thus the last three kootas account for 21 out of maximum 36 points, i.e. more than 58%. That is why these 3 Doshas are termed as Mahadoshas in Guna Milan system. It is obvious from the above table that a sine wave pattern has been followed in dividing the 27 Nakshatras into 3 categories. If the bride and bridegroom's Nakshatras belong to the same Nadi (i.e. Aadi-Aadi or Madhya - Madhya or Antya - Antya) then Nadi Dosha arises and no points are alloted under Nadikoota which means 8 points are lost. 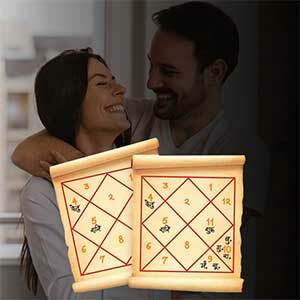 In case their birth Nakshatras belong to different Nadis, then under Nadikoota full 8 points are scored by the couple. That means according to sage Narada, even if all other kootas are compatible, Nadi Dosha till needs to be avoided because this dosha is highly inauspicious and deadly for the couple. 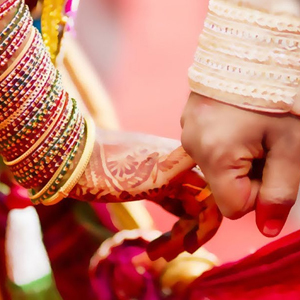 According to Varahminir if both have Aadi Nadi, it would result in separation or divorce, if they have Madhya Nadi then both would be destined to death and if they have Antya Nadi, it would result into extremely miserable married life with widowhood. That means Aadi Nadi is deadly for the husband, Madhya is deadly for both while Antya Nadi would result into death of wife. Sage visishtha is said to differ from the above views. he professed death of husband in case of Madhya Nadi and death of wife in case of Aadi and Antya Nadi. Source of the above shloka is not known but this shloka is often quoted. It means Nadi Dosha matters most for Brahmins, Varna Dosha for Kshatriyas, Gana Dosha for Vaishyas and Yoni Dosha for Shudras. In this context, it is also pertinent to note that 12 Rashis are divided in 4 Varnas. Karka, Vrishchika and Meena Rashis are Brahmin Rashis. Perhaps this shloka is meant for Brahmin Rashis rather than Brahmin caste. According to some scholars, Nadi Dosha affects the health of progeny. It is widely accepted fact, among majority of Hindus, that same Gotra marriage shouldn't take place. The idea is that even if the race or caste is the same, genetically the distance between husband and wife should be as wide as possible. To ensure this, the more conservative Brahmins believe in different "Shashan" of the two families ("shashan" represents to the place where the ancestors of Gotra used to live or originated from). In modern science also, it is believed that health of cross breed children is always better. Perhaps the Nadi matching is the astrological endorsement of cross breeding for good health of the next generation. In nutshell, we can infer that Nadi Dosha is the most serious Dosha among the 8 kootas of matching. The couple would be deprived of marital happiness either due to separation or loss of partner or due to severe health problem to them or their children. Exceptions to Nadi Dosha or Cancellation are there. then this would destroy the ill effects of gana, graha maitri, Nadi and Nridoor Doshas. In accordance with the above mentioned rules, Keshwark has given example of Krittika and Rohini Nakshatras. Both these nakshatras belong to Antya Nadi and lie in Vrisha Rashi. The same rule can be extended to Swati and Vishakha, Uttarashada and Shravan which lie in Tula and Makar Rashis respectively and are free from Nadi Dosha. Ardra and Punarvasu (Mithun), Uttar Phalguni and Hasta (Kanya) and Shatbisha - Poorva Bhadrapada (Kumbha Rashi) belong to Aadi nadi but exempted from Nadi Dosha. We have got nine Nakshatras viz. Krittika, Mrigshira, punarvasu, Uttarphalguni, Chitra, Vishaka, Uttarshada, Dhanishtha and poorva Bhadrapad which fall in two Rashis and thus are exempted from Nadi Dosha. The above shloka also endoreses the same conditions that is - if both have same Rashi but different Nakshatras, or same Nakshatra but different RAshis, or same nakshatra but different charans then Nadi Dosha gets nullified. Though same Nakshatra or same Rashi of the bride and bridgroom amounts to cancellation of Nadi Dosha but if the nakshatra charans are same or there is "padavedha" then marriage cannot take place. Accordingly 'Pada Vedha' extends to Charan 1&4, 2&3, 4&1 and 3&2 while the ill effect is negligible in case of charan 1&3, and 2&4. Accordingly if bride and bridgegrooms Nakshatra belongs to Rohini, Mrigshira, Ardra, Jyeshtha, Krittika, Pushya, Shravan, Revati or utar Bhadrapada, then Nadi Dosha is not applicable. If the Navamsha falls in different Rashis, in case of same Nakshatra of bride and bridegroom, Nadi Dosha is cancelled. According to sage Vashishtha, same Rashi but different Nakshatras and same Nakshatra but different Rashis are auspiicous but same Rashi, same Nakshatra and same charan will be inauspicious like death. The above quoted shlokas lay high emphasis on natural friendship of Rashi lords, same Rashi Lords, friendship of Navmansha lords and same Navamsha lords for nullifying the adverse effects of various koot Doshas including Nadi Dosha. Now this is an important addition to the Nadi Dosha cancellation conditions stated earlier viz. 1. When the Rashi of bride and bridegroom is same but nakshatras are different. 2. When both have same Nakshatra but Rashis are different. 3. When Nakshatra is same but charans are different. In view of high importance attached to Nadi Dosha in match making, the author obtained feed back from 200 married couples about the quality of their married life and problems faced by them. Couples having Nadi Dosha were segregated. 61 couples had Nadi Dosha. They were further divided into Aadi, Madhya and Antya Nadis. To assess the quality of married life 5 categories were devised viz. The last two categories reflected serious problems in their married life. 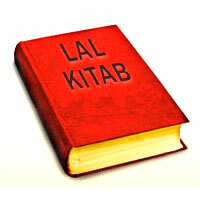 The idea was to find out the extent of failure of marriages due to presence of Nadi Dosha. The participants were also asked to report the number of children and their year of birth. The objective was to know whether Nadi Dosha prevented birth of children or their health. The participants were further asked to report any other serious development about their marital life like separation, divorce, serious ailments or accidents, death in the family etc. Cancellation of Nadi Dosha was also studied. • It can be seen that despite Nadi Dosha, majority of the couples enjoyed marital happiness as reflected from the figures reported under Excellent and Good categories. If Average quality is also included then successful marriages touch almost 90%. • Out of 61 cases 4 reported Below Average (6.56%) and 3 reported Bad(4.92%) quality of married life, both totalling just 11.48% only. 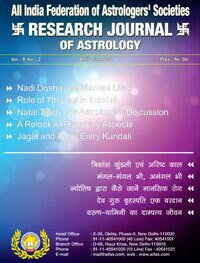 • It can be safely concluded that Nadi Dosha factor alone does not spoil married life. All the 61 couples, having Nadi Dosha, are blessed with children, male and female, except one, married on 27.1.2007, who did not have a child till the end of August, 2010, when the survey work was concluded. Therefore Nadi Dosha does not prevent birth of children. Some scholars would say that though the children are born, happiness from children would not be there. There was a column in the survey format to give information about serious disease to the life partners or their children. Only in two cases, some vague information was received. One child born in 1996 suffers from cold allergy but his parents also suffer from the same (Aadi Nadi). In another case of Madhya Nadi, children born in 1996 and 2001 had some disease in 2008 but details not reported. These are stray cases and not worthy of any serious attention. In other words 59 couples, out of 61 Nadi Dosha cases, did not have any problem with regard to health of their children. The age of the children in Nadi Dosha cases varied from a few years to well over thirty. Apparently people were satisfied with their progeny because no specific mention was made about any serious problem with their children. Therefore we are inclined to conclude that Nadi Dosha alone neither prevents birth of children nor results in bad health of children. As far as "Santan Sukh" is concerned, this is a highly subjective issue which is very difficult to assertain even in cases having no Nadi Dosha. Only in one case of Adi Nadi separation is reported. Marriage took place in February, 2004, male child born in June, 2005 but husband left wife and lived with another woman. In another case of Antya Nadi (Nadi Dosha cancelled), divorse occured. Dealth of husband occured in one case due to electric shock within two years of marriage (Antya Nadi). Only under Antya Nadi percentage of cases involving health problems is noticeable otherwise overall percentage is less than 12%. The table below shows the quality of married life separately under 3 Nadis alongwith the figures where Nadi Dosha was found cancelled. Nadi Dosha was found cancelled in 37.70% cases. However no trend has emerged to confirm that cancellation of Nadi Dosha had definite impact in improving quality of married life. Conclusion : The popular fears about Nadi Mahadosha have not been found to be true in real life situation. The percentage of cases of divorce, separation, serious health problems, death or accidents is very low in case of married partners or their children. The quality of married life, on the contrary, has been found to highly satisfactory. Then why this factor should be accorded high importance while matching the horoscopes for aliance? Instead of relying on Guna Milan system and Nadi Dosha factor, will it not be better to rely upon age old cardinal principles to analyse the 7th house and other important houses of the horoscopes in the present context? For compatability, we should judge the friendship of Lagna lords, Rashi lords and Navmansha lords, judge strength of 7th house on Sudarshan Chakra basis as well as D-9 chart. We should give importance to the running Maha and Antardashas and the following Dashas of both the partners. These are the primary factors in my view. 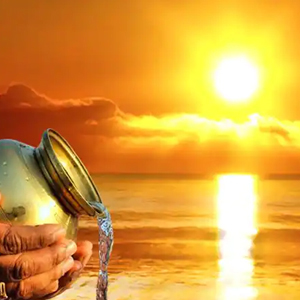 Manglik Dosha or Nadi Dosha factors are only secondary factors, not worthy of serious attention which is being generally accorded to them by general public as well as by majority of practicing astrologers.